Kailei Collins is not your typical high school junior. Scholastically and athletically – she’s elite. A junior at Klein Tompkins (Texas) High – despite taking several Advanced Placement courses – Collins still boasts a 5.9 grade point average. On the track, she’s known to zoom past much of her opposition as Collins is one of Texas’ top female sprinters. She specializes in the 100 and 200 meter run. The aspiring pediatrician maintains academic and athletic excellence while also holding a part-time job. The daughter of Kolet Boudreaux is a lot of things, but lazy isn’t one of them. That’s among the reasons why Collins is the LEGACY Foundation Student of the Month. 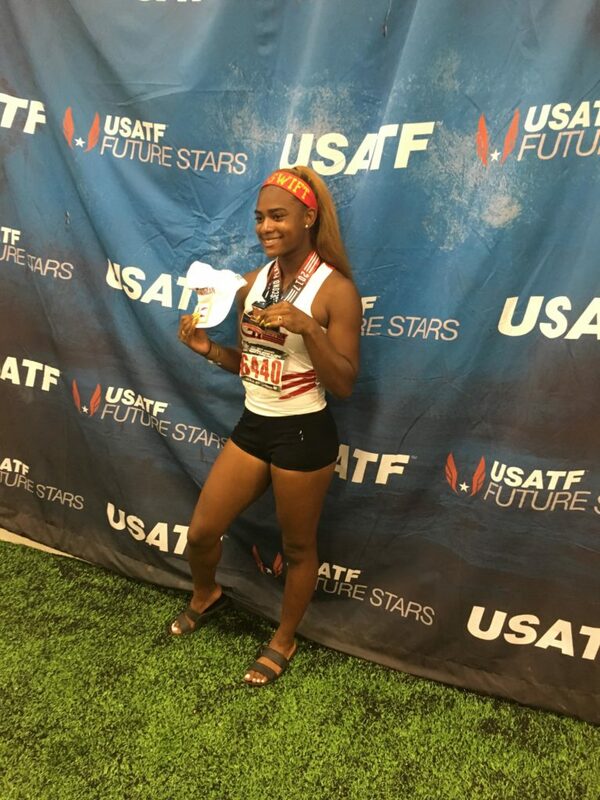 Due to her amazing GPA and track prowess, Collins is on a path to potentially attend college free-of-charge. Some of the bigger programs to show interest in giving Collins a scholarship are: Houston, Iowa, LSU, Texas A&M, and Arizona State. However, don’t expect Collins to quickly choose where she’ll attend college. Collins can’t make her official recruiting visits until July. Once that process begins, she plans to carefully select her best option. Much of Collins embracing the concept of hard work comes from her mom. Boudreaux is an entrepreneur. She has her own janitorial company based in the Houston area. Boudreaux has a vision that includes putting her children in position to live an upscale life. “If my kids see me working hard and holding myself accountable, they’ll follow,” Boudreaux stated. Collins admires Boudreaux and the standard she encourages everyone to uphold. Naturally, Boudreaux expects nothing but continued success from her daughter.